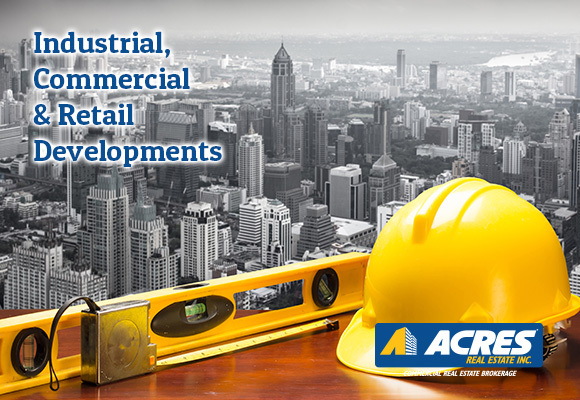 Project Development Services – Acres Real Estate Inc.
Commercial project from corporate offices to hotel new builds to retail, retail/office/medical uses condominiums and multi-site construction. Acres’s project and development services (PDS) team is here to help you manage your latest real estate endeavour so you can get back to your real job—running your business. We will manage your design, construction and development project across the following project types, whether you happen to be a tenant, owner or investor. Acres will work through a single point of contact who acts as your advocate, and maintains quality and consistency across all your commercial real estate projects. Acres will help create your scalable and cost-effective project today, letting you create sustainable solutions for the future of your business.